The Post-S.E.A. 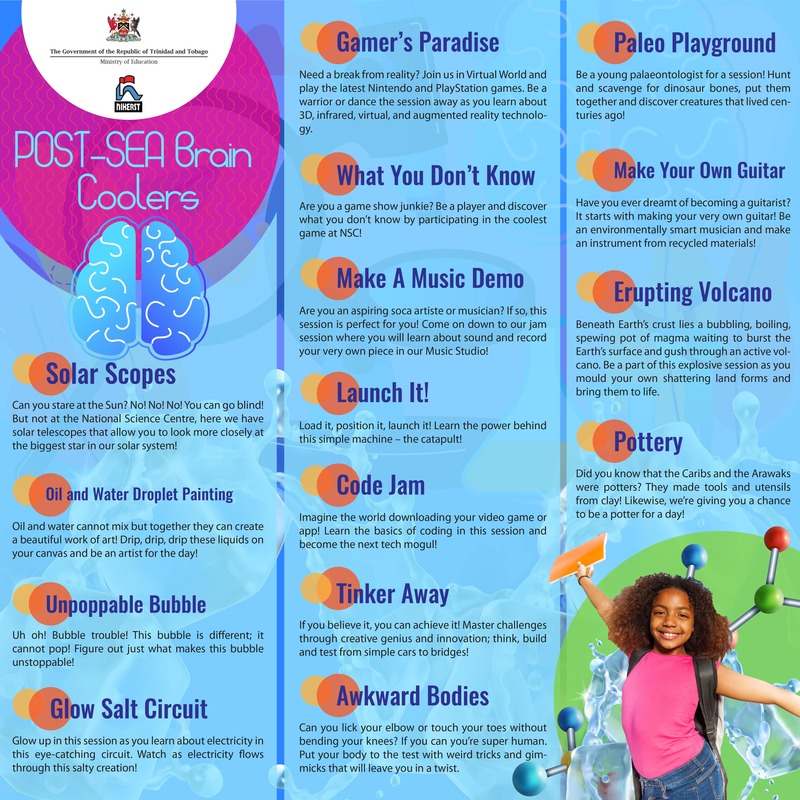 Brain Cooler period enhances the traditional NSC Tours component of the Visitor Programme. 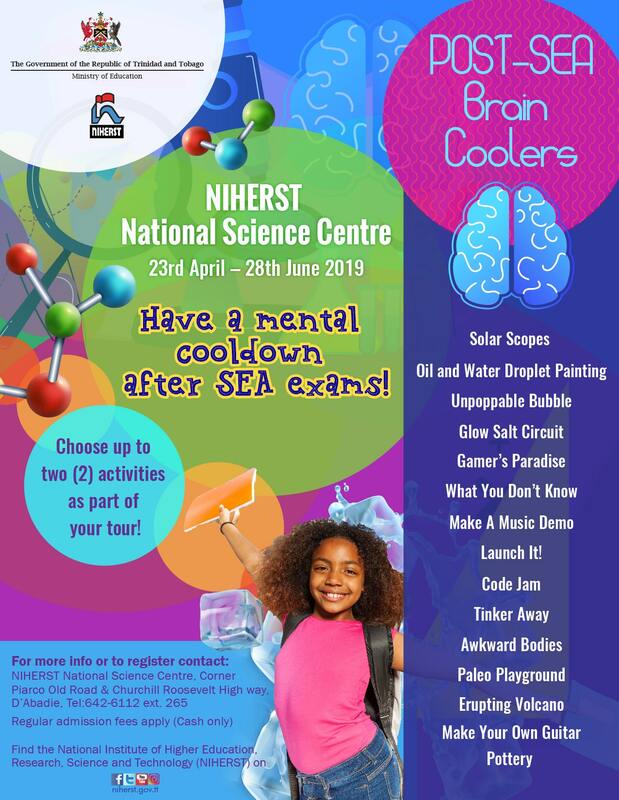 Special hands-on activities are designed to facilitate the delivery of local curriculum content in science, mathematics and IT as well as inquiry-based non-curricula lessons. These will be offered during regular opening hours to visiting groups of Standard Five students who sat the S.E.A. exam on 4th April 2019. Visiting groups will be allowed to pick up to two (2) activities to add to their tour. These activities play a key role in accelerating the implementation of 21st century learning, contributing to the development of children’s knowledge and skills required for success in the modern workforce.